The 70-year journey of Ashok Leyland is interesting in how it has helped the country industrialise. The second largest CV maker in India has turned 70 years old. Tracing its journey to 1948 when it began producing Austin cars under license in India as Ashok Motors, the CV maker has come a long way. As the fourth largest manufacturer of buses in the world, and 12th largest manufacturer of trucks, the company inked an agreement with Leyland of UK to import, assemble and progressively manufacture Leyland trucks in 1950. Founded by Raghunandan Saran (a freedom fighter from Punjab) and named after his son Ashok, Ashok Motors rolled out the first Leyland chassis from the Ennore plant in the form of Comet 350 in 1951. The first four Comet 350 trucks were sold to the Mangalore Tile Factory. 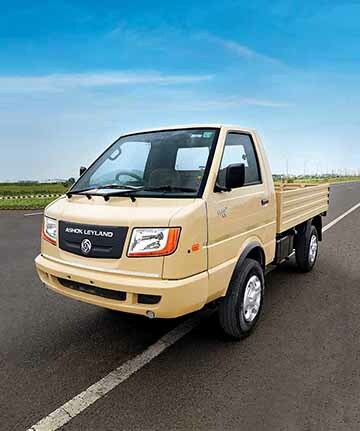 Taking to manufacture trucks alongside the manufacture of Austin cars in the early fifties, Ashok Leyland has grown exponentially in the last seven decades. It has achieved many patents for its innovations according to Vinod K. Dasari, the managing director of the company. Exiting the assembly of cars in the mid or late 50s, Ashok Motors got a government approval for progressive manufacture of Leyland commercial vehicles in 1954. This included a license to manufacture 1,000 Comets a year. Renamed ‘Ashok Leyland’ with equity participation from Leyland Motors, Ltd., soon after, the company was recently listed in the Forbes Fabulous 50. Increasing its market cap from Rs.3000 crores five years ago to Rs.45000 crores a few months ago, Ashok Leyland, in 1963 introduced Comet buses. These were made by building a passenger body on the Comet truck chassis. 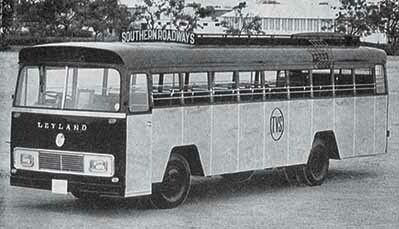 In 1967, the company introduced the first double-decker bus in India in the form of Titan. It had a localisation level of 50 per cent. 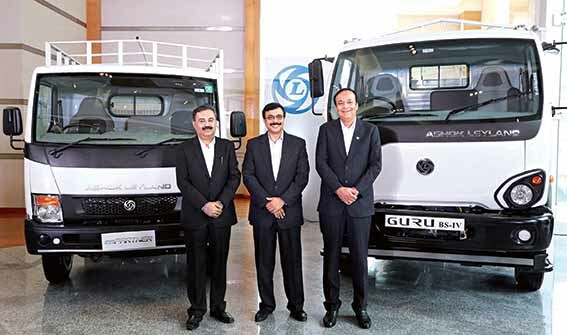 Of the opinion that Ashok Leyland customers believe in the brand, Dheeraj G Hinduja, the chairman of the company expressed that the journey spanning seven decades is not just about winning, but also about giving. He mentioned that Ashok Leyland has come to be a part of the social fabric of the country, and is carrying out CSR activities that take care of the health, nutrition, education of more than 20,000 students. Taking to assemble CVs upon realising its importance and necessity in a country that was just beginning to build itself post-independence, Ashok Leyland made a good beginning with the Comet. 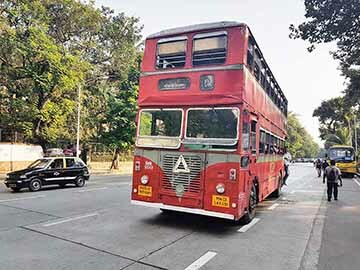 As a 4×2 truck with a GVW of 7.5-tonnes in a cab over form, the Comet sprang a bus within two years of the truck rolling out of the Ennore plant. The cab over form made it easy to fabricate a bus body on the truck chassis. Offering power steering in 1969, the Comet came to establish itself as a truck with technology. The concept of a power steering was unheard of at that time. Regarded as a powerful, rugged and fuel-efficient truck, the Comet sold a thousand numbers with 252 employees on board in the first year of its launch. Equipped with full air brakes, the platform played a role in the evolution of the Indian CV industry by supporting tonnage as well as application shift. For example, in 1966, Ashok Leyland introduced a 10- to 30-tonnes Beaver/Hippo range. Manufactured almost until the early 90s, the Comet as a platform has come to occupy a place of pride in the history of the CV maker. Post the introduction of Titan double-decker bus in 1967, marking two decades of operations, Ashok Leyland, in 1970, took to manufacture defense vehicles. A 6×4 Hippo Tipper was delivered to the armed forces the same year. Production touched 10,000 units by 1973, marking a ten-fold increase. In 1974, the turnover of Ashok Leyland crossed Rs.100 crore. Ending collaboration with Leyland in 1975, the company launched many new CVs. Notably the Viking and Cheetah range. One of the most elegant products to be made by the company, the Viking marked the arrival of a modern and attractive looking bus in 1976. 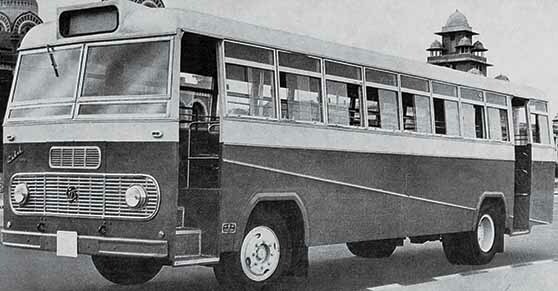 The Viking was the first ever bus with an alternator and a unique front overhang that facilitated front entry. 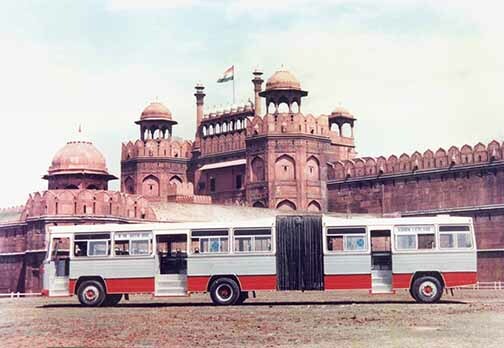 Finding its way in 1978, the Cheetah turned out to be India’s first rear-engine bus. If the Cheetah saved the driver from engine heat and noise, it also gave rise to a challenge. Drivers soon started complaining that they could not hear the engine! In 1980, the first Hosur plant went on stream. It would be Ashok Leyland’s second manufacturing facility within the state of Tamil Nadu after Ennore. The Hosur plant complemented Ennore, but remained independent enough to ensure seamless production in a fluctuating marketplace. With the new Hosur plant at its disposal, the company began surging ahead with many industry firsts. These included Ashok Tusker, a 13-tonne truck with a 125 hp engine in 1980. The Taurus was also launched at around the same time and became the first multi-axle truck in the country. In 1982, the company introduced the country’s first vestibule bus for urban travel. The same year, Ashok Leyland embarked on an expansion plan that would take it to other parts of the country. In March 1982, the company set up a gearbox plant at Bhandara. In August 1982, the company set up a unit at Alwar to build passenger CV chassis. In 1987, the overseas holding by Land Rover Leyland International Holdings Limited (LRLIH) was taken over by a joint venture between the Hinduja Group, and Iveco, a Fiat Group company. In 2007, the Hinduja Group bought out Iveco’s indirect stake in Ashok Leyland and made it the group’s flagship. Said Gopichand P Hinduja, Chairman, Hinduja Group, that many were worried about an NRI coming on board. “Workers said that Hindujas are not industrialists and they do not know how to run industries. The meeting with Ram Sani and Manpreet Soni, who were the secretary then, assured me that there was a lot of potential in the company, and it needed full support for transformation. We were away from India since 1919 and we felt it was the best way to return to India. After the takeover, many came in and took the company forward. I could not have thought about the growth the company has achieved when we took it over 31 years ago. I want this company to be unique, not just in India but across the globe. Money alone cannot do it. It is the team and talent that is required to make it successful,” he mentioned. Commissioning a technical centre at Vellivoyalchavadi (VVC) on the outskirts of Chennai in 1990, Ashok Leyland set up a driver training institute at Namakkal five years later. Both the developments marked the coming of age of a CV major in an environment that was beginning to change at a rapid pace. Even today, the Namakkal facility continues to be one of the few most comprehensive driver training facilities in India’s private sector. It is located right where the heart of the Tamil Nadu’s trucking community is. 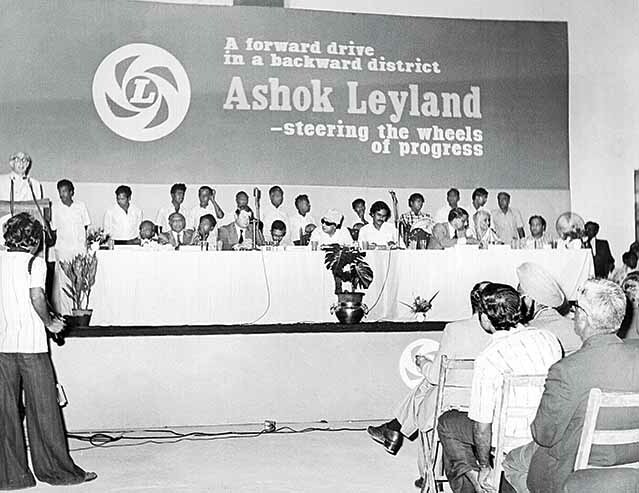 In 1996, Ashok Leyland commissioned its second plant at Hosur. It would be Ashok Leyland’s most versatile plant with a dedicated line to manufacture army vehicles. 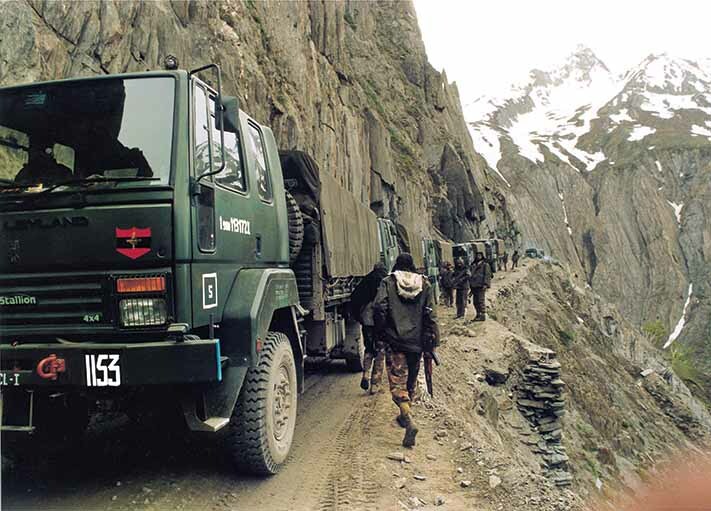 In 1997, the Stallion 4×4 troop and material carrier (all-terrain logistics) truck rolled out of the Hosur 2 plant and was inducted in the Indian Army. The same year, the company introduced a CNG bus. It would mark a significant step ahead in the development of alternate fuels for mass transportation. The first CNG bus was delivered to BEST (Brihan Mumbai Electricity Supply and Transport). In 1998, Ashok Leyland celebrated the Golden Jubilee of the Stallion. In its quest for alternate fuels, Ashok Leyland, at the 2002 Auto Expo, premiered a hybrid electric vehicle. It was developed in partnership with the Department of Scientific & Industrial Research (DSIR), and the Electronics Research & Development Centre, Trivandrum, of the Ministry of Information Technology. 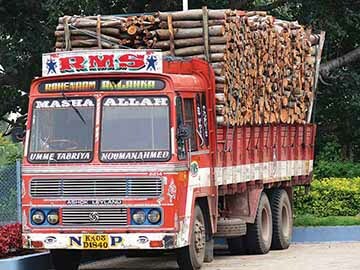 First Indian auto company to receive BS 7799 certification for information security management system in 2005, Ashok Leyland achieved yet another feat the same year. When the Srinagar-Muzzafarabad road route was opened for traffic, the first vehicle to cross from the Indian side was a Stag bus. The acquisition of Avia in the Czech Republic in 2006 marked the company’s presence in Europe. 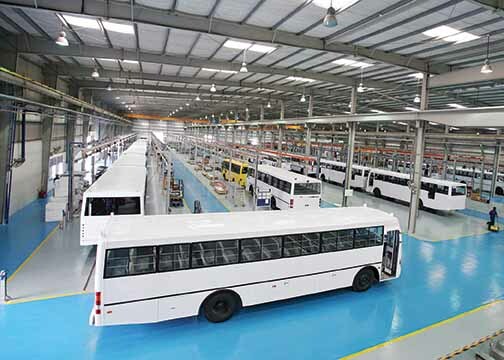 In 2006, the CV major also inked an agreement with Ras Al Khaimah Investment Authority to set up a bus assembly plant in the UAE. It made Ashok Leyland the only CV maker to have a plant there. The assembly facility was turned into a full-fledged manufacturing unit in 2010. In 2010, a new plant was set up at Pantnagar. In the same year, the ambitious and modern U-truck platform was launched. Yet another feat was the launch of a plug-in hybrid bus. Ashok Leyland obtained a 26 per cent stake in Optare plc, a well-known bus maker in the UK. The stake was subsequently increased to 75.1 per cent in January 2012. A short-lived and tumultuous relationship with Nissan led to products like the Dost in 2011. The Dost marked the entry of Ashok Leyland into the LCV segment. Entering the construction equipment space in October 2011 with the launch of a new backhoe loader under the Leyland Deere brand, the company introduced an innovative single step entry front engine fully flat-floor city bus in 2012 called the Janbus. In the same year, the CV major introduced India’s first 37-tonne haulage truck with the highest payload of up to 27-tonnes based on the modern U-Truck platform. 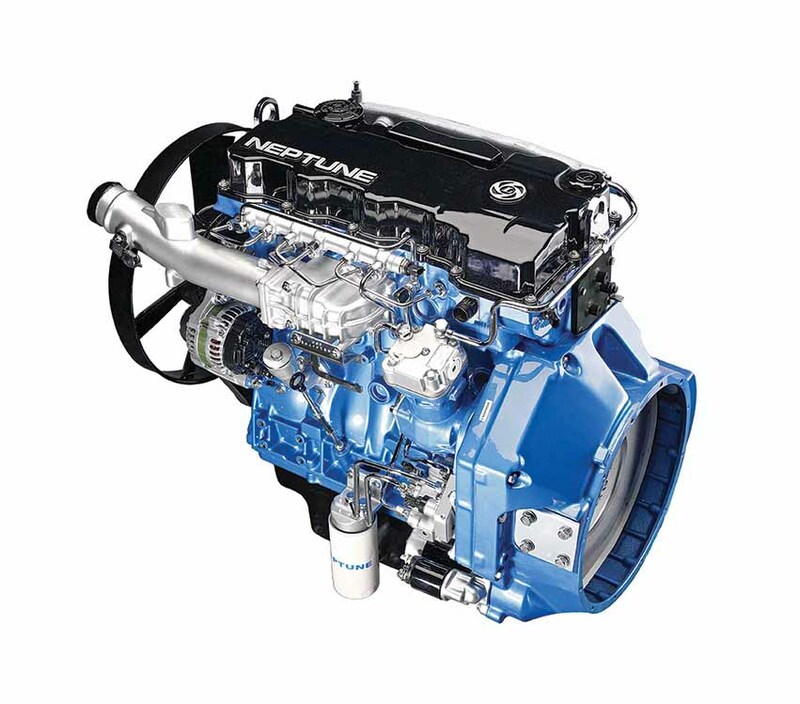 In 2013, the Neptune engine was launched. It was equipped with common-rail fuel injection and complied with the stringent BSIV emission norms. The Boss intermediate segment truck found its way to the Indian market in 2013. The year 2014 was the year of three significant product launches. The first to arrive on the scene was the modern, heavy-duty truck range called the Captain. The second was the Mitr midi-bus, and the third was the light-duty Partner truck. The Partner was powered by an advanced ZD30 common-rail diesel engine, that promised superior fuel-efficiency and better turnaround time. The Partner was also India’s first air-conditioned LCV goods vehicle that features a modern Euro cab with spacious car-like interiors. 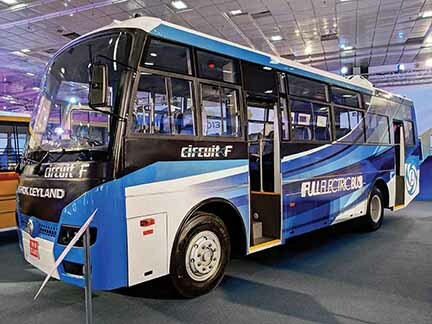 In 2015, Ashok Leyland unveiled the zero-emission electric bus Circuit. 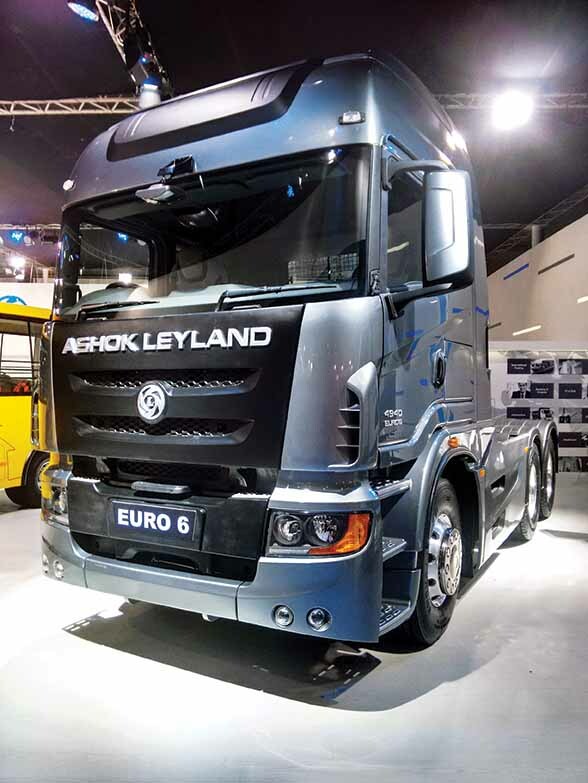 At the Auto Expo 2016, Ashok Leyland showcased a Euro6 Captain tractor with SCR technology from its group entity Albonair. In 2016, the Pantnagar plant won a Deming prize, a first by a commercial vehicle manufacturer. The innovative Sunshine school bus was introduced in 2016. In the same year, the Guru and Partner light-duty trucks were also launched. In 2017, the Hosur II plant won a Deming prize. A significant technology change at Ashok Leyland marked the introduction of iEGR technology in April 2017. It was in-line with the implementation of BSIV emission norms pan-India. The year 2017 saw the launch of the Captain haulage range, and the Dost+ with a high payload, courtesy the leaf spring suspension all-round. At the Auto Expo 2018, Ashok Leyland in association with Sun Mobility showcased a battery swapping technology for electric vehicles. In 2018, Ashok Leyland also unveiled a 41-tonne 10×2 multi-axle rigid truck. It aims at a market that is looking to shift up from 37-tonnes and is not keen to go the tractor-trailer way. In its seven decades journey, Ashok Leyland gained a good deal from the partnerships it’s striked. The first was the association with Hino Motors, Japan, for the manufacture of H-series engines in 1986. Over the years that followed, the company developed many indigenous versions of the H-series engine in four and six-cylinder guise and conforming to BSII, BSIII and BSIV emission norms. They gained a strong reputation for power and efficiency. The collaboration with Hino was renewed in November 2017 for the development of Euro6 technology. Ashok Leyland would in-turn help Hino to source parts from India for its global operation. In 1994, Ashok Leyland started producing Cargo trucks at its Hosur 1 plant with Iveco technology. These vehicles used Iveco engines and came with factory-fitted cabs. They were ahead of their time when the Indian market was almost completely dominated by cowl chassis designs. 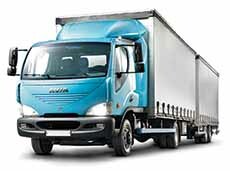 Though the Cargo trucks are no longer in production and the use of Iveco engine was discontinued, the cab continues to be used on the Ecomet range of trucks, and on the Ashok Leyland military vehicles. 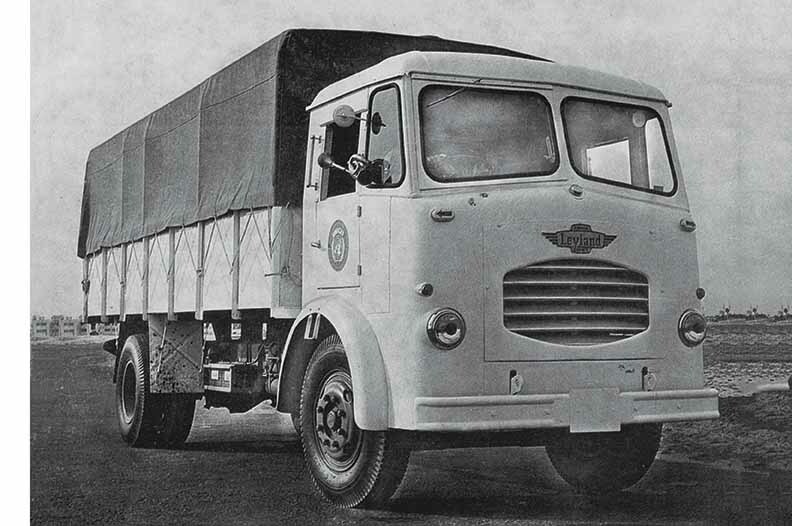 The Cargo truck range was initially available in seven and nine-tonne GVW. Heavier versions of the truck were introduced later. These had a GVW of between 15- and 26-tonnes. Earning a reputation of building vehicles that were durable and profitable by 2005-06, Ashok Leyland continued to innovate. R. Seshasayee, the former managing director of the company asked M. Nataraj, former product development head, to launch the ‘2020 Project’ with a goal to create an engine. Starting from scratch, the project progressed with the close co-operation of suppliers. No easy task it turned out to be. Consultants were hard to come by. There were mistakes and errors. Every challenge, however, encouraged the engineers at Ashok Leyland to strive for more; to push hard. A particularly challenging part was the quest to modify existing (traditional) engine designs to suit the Indian conditions. International consultants were engaged. Efforts were made to produce multiple options. The final outcome was an engine that worked to the satisfaction of all. It was termed as the ‘Neptune’. The best part of the project was the knowledge the team gained. Valuable knowledge was gained by Ashok Leyland engineers. Those who have bought Ashok Leyland CVs with Neptune engine are satisfied with the performance, claim company sources. Tested for one-million kms, the Neptune engine is exported to the US as well. With the Neptune engine at its disposal, Ashok Leyland engineers were challenged with the need to get the CVs to comply with BSIV emission norms in 2017. Based on their earlier experience where they worked with Bosch to get an in-line mechanical pump to comply with BSIII emission norms, the engineers developed a unique system of ‘intelligent EGR’ (iEGR). This was done to ensure that CV buyers are not subjected to a considerable step-up in operating costs with the use of AdBlue, and an SCR aftertreatment involving a DPF. Introducing SCR-based CVs in 2010 for specific markets including exports with the support of Albonair, Ashok Leyland engaged a team of 200 engineers to develop the iEGR tech in a period of three and a half years. Combining the benefits of regular EGR along with that of a common rail system, the iEGR system is capable of meeting BSIV emissions at power levels over 130 PS, and up to 400 PS. The technology promised an increase in fuel efficiency by up to 10 per cent over BSIII with the help of an in-cylinder combustion management technique. Over one lakh trucks with iEGR technology have been sold since 2017. 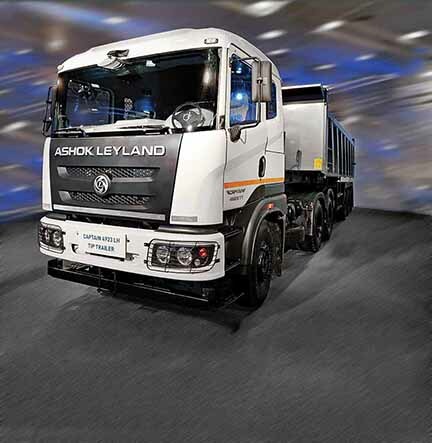 On the technology front, Ashok Leyland has been associating with both, national and international partners. In 2017, the Ashok Leyland Defence Systems (ALDS) signed an agreement with Russia’s Rosoboronexport and ELCOM Group in 2017 to manufacture tracked vehicles for the Indian Armed Forces. In early 2018, Ashok Leyland formed an alliance with SUN Mobility in 2018 to develop electric vehicles. It also signed a Memorandum of Understanding (MoU) in 2018 with the Indian Institute of Technology Madras to carry out research and development activities for strengthening battery engineering and related sub-parts for EVs especially. Making strategic changes like asking the customers to pay only on delivery rather than before delivering the vehicle, the company aligned warranty schemes as per the needs of the customers. The frontline was empowered to make decisions and execute them so that the customer does not have to wait endlessly because a part cost too much. Introducing a ‘tatkal’ scheme to address vehicle breakdown, Ashok Leyland promised a contact time of four hours and promised to get the vehicle running in the next 48 hours. If it could not, it would pay a penalty of Rs.1000 for every day of delay. A call centre was started so that no customer calls went unanswered. Working closely with its franchisees, dealers and financiers, Ashok Leyland applied thrust on annual contracts and partnerships. It started cabin repair centres that were good at minimizing expenses. They salvaged and rebuilt all that was possible. If this made insurance companies enthusiastic, the company invested and continues to invest in building a robust digital support network that leverages telematics and a combination of internet platforms and apps. to ensure that its customers are able to reach it from any part of India. 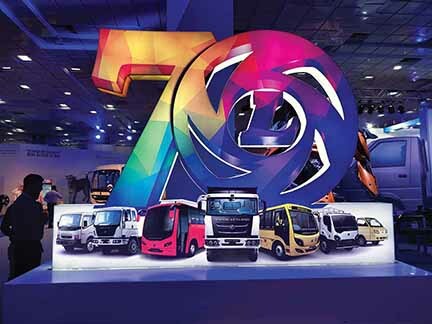 Looking back to the 70-year journey of Ashok Leyland, it is interesting to see how it has helped the country industrialise, modernise and develop into one that is no second to others in terms of technology and knowledge. Re-inventing its entire product line-up in the interest of addressing the needs of its customers, Ashok Leyland is setting the bar higher time and again.